Hi friends, it’s that time of the year again! Today I’ve gathered some of my favorite holiday gift ideas for tired and busy mothers. We spend most of our time taking care of other people, so now is a great time to pamper ourselves as well that special mom in our lives. 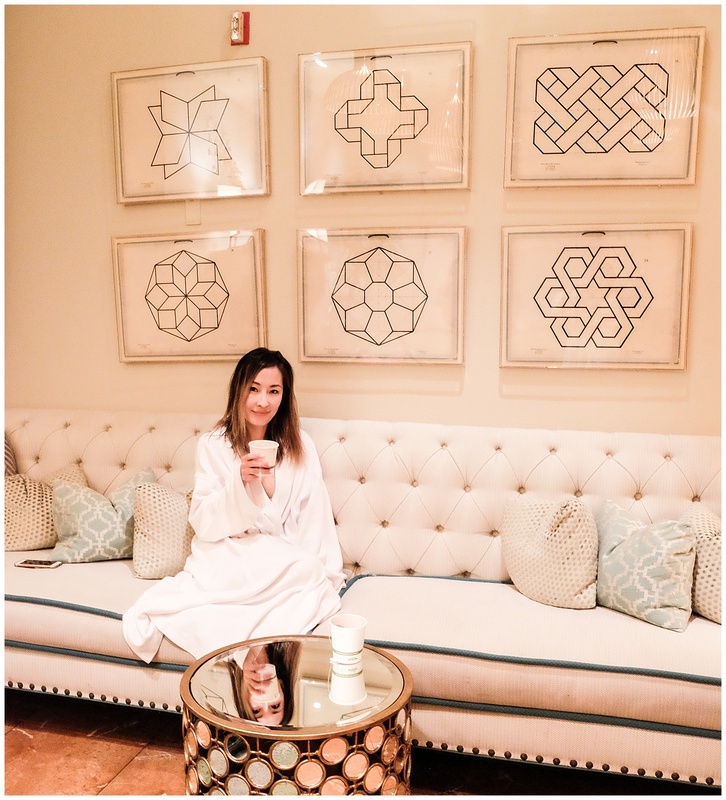 I recently had the opportunity to treat myself to a spa and facial package at Burke Williams in Mission Viejo and it was heavenly! It’s been a long time since I’ve done anything nice for myself and this afternoon made me realize how deprived I was in the self-care area. Self-care is one of my resolutions for the New Year and Burke Williams is a great place to start! 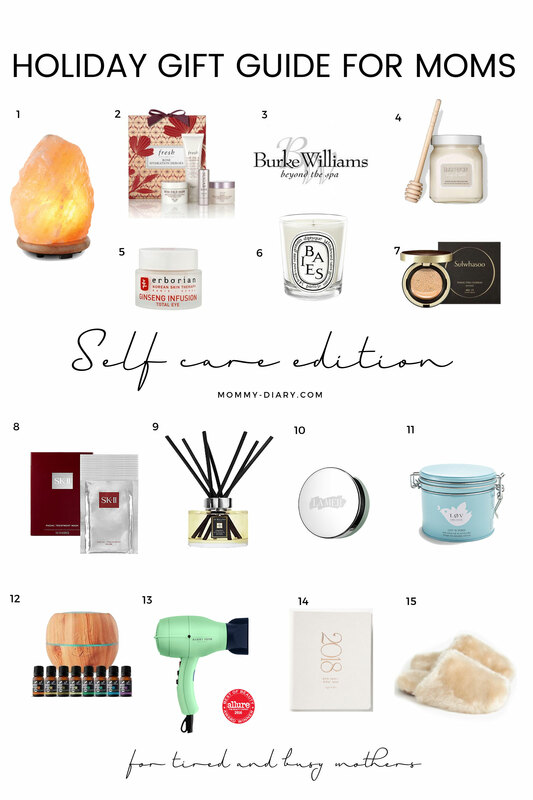 I hope this gift guide inspires you to take care of yourself during the holiday season and beyond! *The following guide includes affiliate links which means I may make a small commission from your purchase at no additional cost to you. Thank you in advance for supporting my blog! Benefits of salt lamps are numerous and these are very popular in Asian homes who are all about holistic methods to improve energy level and well-being. I own a few and love its effects. Salt lamps are known to release negative ions that purify the air, neutralize electromagnetic radiation, reduce allergy symptoms, increase energy levels and help you to sleep better. This is a great holiday gift set of some of my favorites products from Fresh. You get more for your money ($88 value for $68). It includes face mask, soy cleanser, lip tint and face cream. 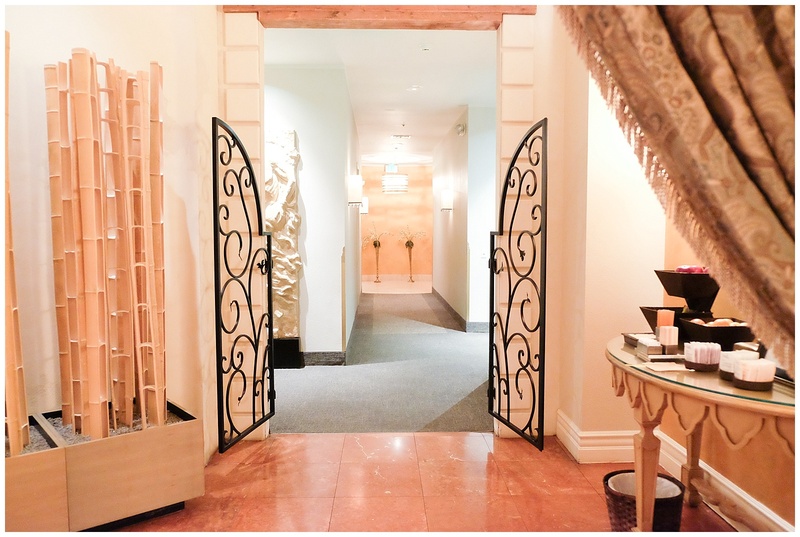 Burke Williams is one of my favorite spas for massages and facials. Give the gift of a pampering treatment to the favorite mama in your life. Their holiday special package goes on sale on Black Friday! I love Laura Mercier bath and body products. They smell heavenly and moisturizes my skin like no other product out there. I also love that the fragrance is lasting yet not overpowering. This Korean beauty brand uses ginseng and Korean herbs to reduce puffiness, dark circles and wrinkles. Check out their other products as well. My favorite brand for candles. Diptyque candles smell amazing and the lasting fragrance fills the whole room. Cushion compacts are perfect for busy mothers because it functions as foundation, SPF protection and dewey moisturizer all in one. The coverage isn’t thick as traditional foundations which I prefer for daily use. The price includes a refill (2 compacts). I love sheet masks for its convenience. 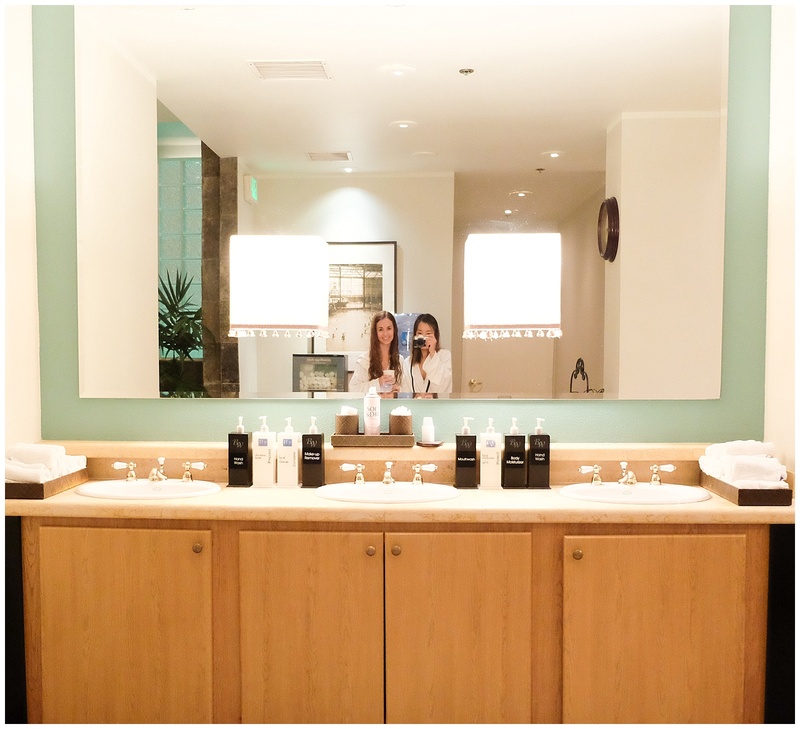 There’s no need to wash and rinse, you simply put on your face and relax. This treatment mask helps with hydration and makes your skin feel so refreshed afterwards. It’s perfect for tired mothers. I treat myself to this diffuser when I can. It’s on the expensive side but the fragrance lasts a long time and makes my home smell amazing. There’s really nothing like it! My favorite fragrance is Lime and Basil. Lov Organics is my favorite line of organic teas in eco-friendly packaging. My favorite is the nighttime ritual. I use this daily in my office. Just add water and your favorite essential oil for aromatherapy in your own home. This dryer is faster, lighter and quieter than any other dryer I’ve used. This cut my hair drying time so drastically, it’s well worth the price. Stay tuned for their Black Friday sale! Planners are a must for any busy mom for the new year. Perfect for those winter days and nights around the home. Need more ideas? My friend Diana has her own Ultimate Holiday Gift Guide For Every Budget for gifting season. You can also check my shop for baby and new mother essentials! What do you think about this gift guide? Which is your favorite? Please leave your comments below and happy pampering! I am obsessed with the SK-II masks!!! They make my face so hydrated and I love using the before and after flights! Me too! I can’t live without sheet masks anymore. It’s the best and so easy! This is such a great round up of ideas! Thanks for joining me on a moms day out! I’m so glad we got to go together. I had fun!